I can't seem to get away from the notion of breakfast for my blog! I know I just wrote about a full Irish, but my ultimate favourite thing for breakfast are pancakes. I love them. I could eat them every morning if I was allowed to. 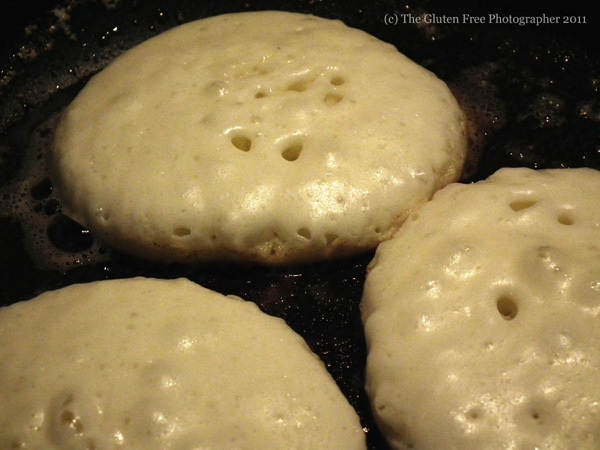 When I first went gluten free, I thought I had looked my last pancake in the eye and that was that. Crepes were easy enough to make with the gluten free flours that are around, but I wanted a true blue, full on, actual pancake. 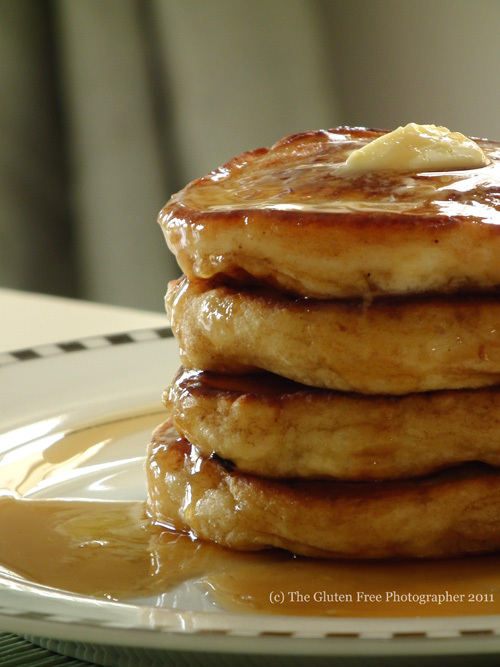 The kind you stack and drown in unholy amounts of syrup and butter. 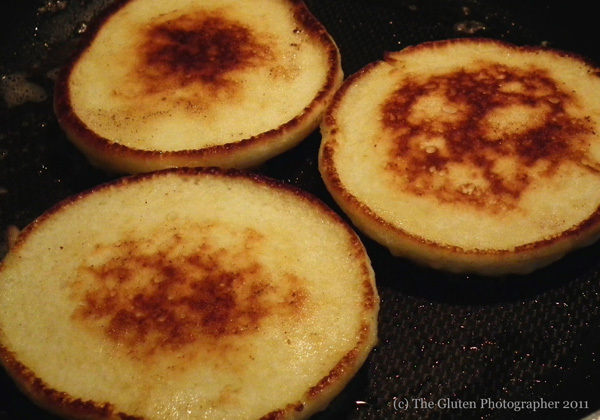 I use the Gluten Free Juvela White Mix and it is perfect for pancakes. This recipe was developed by me and truly it doesn't work nearly as well or taste nearly as delicious with any other flour. So if you don't suffer from a true wheat allergy - this is the recipe for you. Please note that I use the North American cup measurement for baking - see my 'Cups For Cooking' page for a conversion table. - Combine all the dry ingredients in a bowl. - Then add the beaten egg, using a whisk. - Add the milk while whisking the batter continuously until it is mixed. It's okay if there are lumps, the batter does not need to be smooth. - Leave the batter for a minute before you start cooking with it. This gives the flour a chance to absorb the liquid properly and make it very thick. If it's too thick to manage add another quarter of a cup of milk. Careful not to add too much milk! It may appear super thick, but if you add too much milk, the pancake will end up having an 'eggy' or 'slightly wet' texture in the cake and not the dry, fluffy pancake you're aiming for. - Put a large frying pan on a medium high heat and add a generous amount of butter to your pan. - When the butter is bubbling in the pan, using a large spoon, scoop the batter onto the frying pan so that you can fit three individual pancakes. The batter does not need to be moved around the pan like a crepe - it should be too thick to do this anyway. - Bubbles will start to appear on the pancake and just before they begin to pop, they are ready to be turned over using a spatula. - Cook the pancakes on the other side until golden brown and serve immediately from the pan onto a warmed plate with butter and syrup. This recipe makes around a baker's dozen. 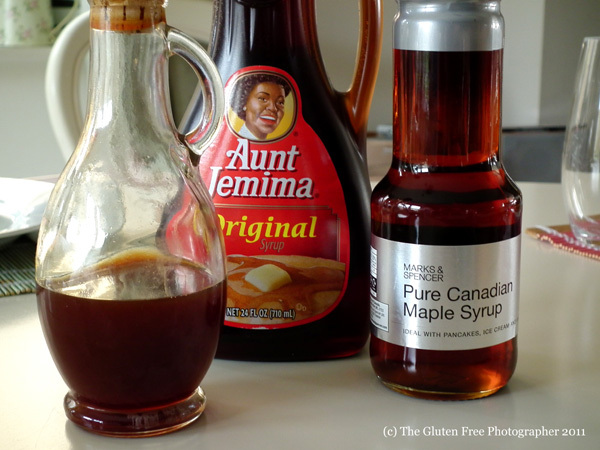 My syrups of choice are Aunt Jemima's original syrup, Highbank Original Irish Orchard Apple Syrup or Canadian maple syrup.